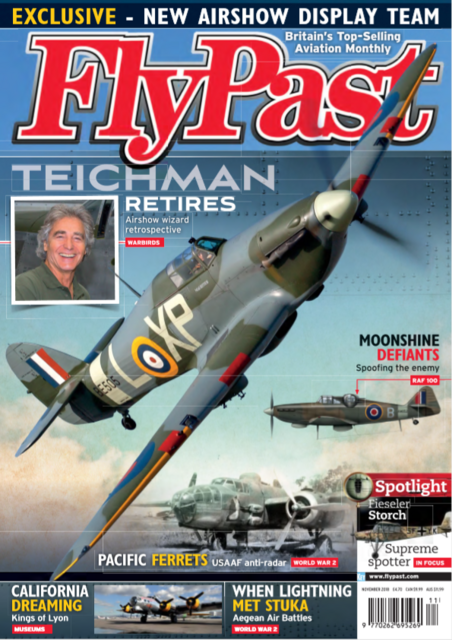 FlyPast - November Issue - OUT NOW! 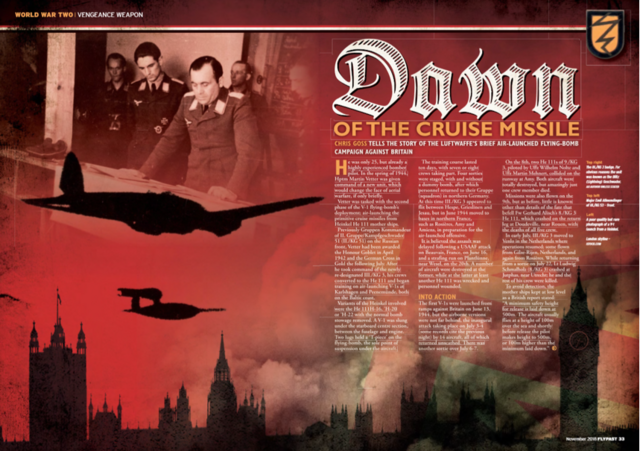 Chris Goss tells the story of the Luftwaffe's brief air-launched flying-bomb campaign against Britain. Anthony Rogers concludes his study of air action over the Aegean Sea by focusing on the events of October 9, 1943. As warbird pilot and collector Peter Teichman prepares to retire from display flying, he looks back on his career. Darren Harbar reports. The second part of Bill Cahill's account examines a World War Two USAAF unit that stalked Japanese radar sites. 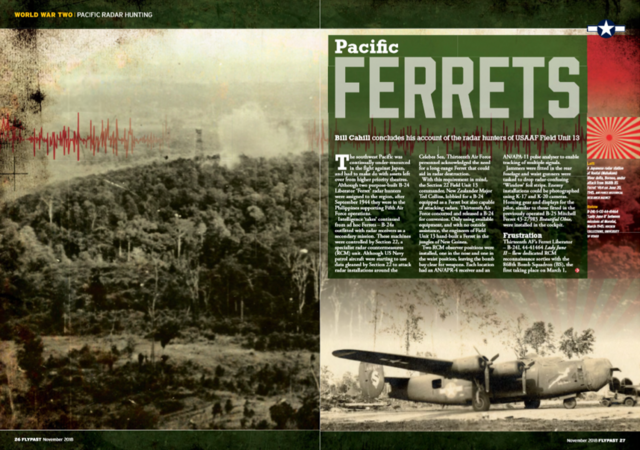 Sean Feast reveals the perilous work of Boulton Paul Defiants as the 'spoofed' enemy radar. Editor Chris Clifford goes flying with a newly formed air display team, comprising two DHC Chipmunks. FlyPast November issue is AVAILABLE NOW for just £4.70 from the Key Online Shop. Alternatively, you can purchase your copy from WHSmith, any other leading newsagent or download your digital copy here. All times are GMT. This page was generated at 06:40.